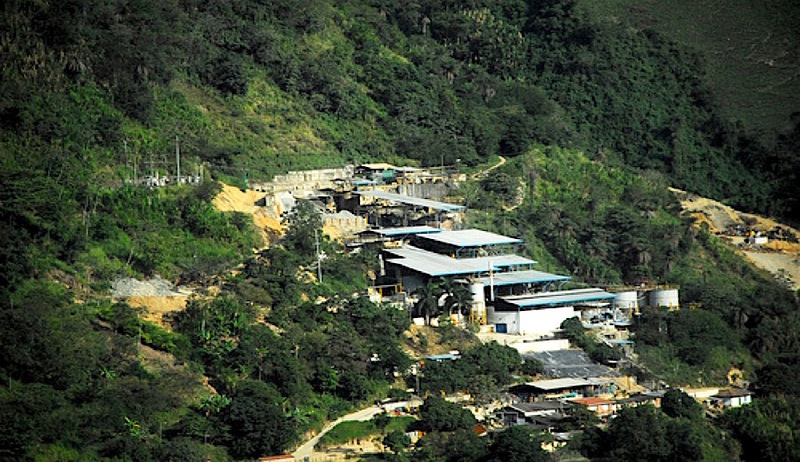 Canada’s Gran Colombia Gold (TSE:GCM) is suing the government of Colombia for forcing the company to halt operations at its Marmato project until further consultation with locals has been conducted. The Toronto-based company, which acquired the project when it merged with Medoro in 2011, is seeking $700 million in compensations and it’s basing the suit in the Colombian-Canadian free trade agreement, the Financial Post reported. On top of having had to stop work in the project, Gran Colombia has also been fighting the presence of illegal miners in the concession. The first ones occupied the area in late September, blocking roads and costing the miner $2 million in daily losses. The lawsuit seeks compensation from the government, which ordered the company to halt its Marmato project until it has further consulted with local residents. The Marmato project, one of Gran Colombia Gold’s two main mining assets, contains total estimated resources of roughly 14 million ounces of gold and almost 90 million ounces of silver. In 2012, the company identified a new deep zone that contains about 300 million tonnes of more potential mineralization. Residents oppose the miner’s plan, which consist in flattening a mountain to create an open pit, though it also contemplates underground extraction. The project is located in the Caldas department in the heart of the Middle Cauca gold district, a region that has been exploited since pre-Colonial times by the Quimbaya people. The Spanish colonists assumed control of the Marmato mines in 1527 and the area has been in almost continuous production ever since. Gran Colombia Gold is not the only mining company that has taken the Colombian government to court in recent years. Another Canadian firm, junior explorer Zonte Metals (TSX-V: ZON), is locked in a legal battle with local authorities over a permit rejection. In February, a special court granted Zonte rights to proceed with the lawsuit that claims both, Colombia’s Department of Antioquia and the National Mining Agency did not process its exploration application in accordance with the country’s mining code. There is also the case of South Africa’s AngloGold Ashanti (JSE:ANG) (NYSE:AU), which may not be permitted to extract gold at its flagship La Colosa mine — a $2 billion potential investment that could yield 28 million ounces of gold — after 98% of voters said in March they were in favour of banning mining in the Cajamarca department, where the mine is located.